Hi loyal readers! 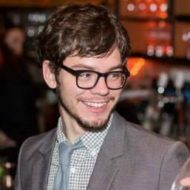 As you may or may not know, my good friend Joel Kelly and I host a podcast called Not a Real Job. The show is about social media, digital marketing, entrepreneurship, and other assorted topics. It’s short—only about 20 minutes a week—and we think it’s pretty darn entertaining (our audio editor seems to think so anyway, and we trust his opinion). This week, in the spirit of the holiday season, we’ve decided to give away a few subscriptions, here and on the @NARJcast Twitter feed. A subscription usually costs $40 per year, but four lucky winners (two here, two on our Twitter feed) will get a full year for free. We record pretty close to every week (missing a few holidays and such), so you’re getting at least 45 episodes a year, plus access to our whole back catalog. Awesome, right? To enter, all you have to do is share a question for us to answer on a future episode using the form below. Anything digital marketing/entrepreneurship/social media/outsourcing/productivity related is good. Entries with bad/lame questions will be discarded, because this is our contest and we can do that. 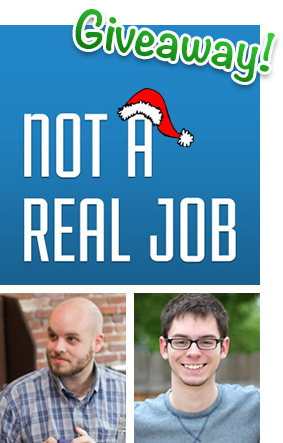 Enter to win a free subscription to Not a Real Job! Warning: you’ll be subscribed to my mailing list as well, but don’t worry—I almost never send out emails. In fact, I’ve had this mailing list for months now and I haven’t even sent a single email. You’ll only get the best stuff! You can also enter by following @NARJcast on Twitter and sending us your question there. Your account must be public, or we won’t get your message. We’ve posted full details to the Not a Real Job website. Have you done your Hour of Code?